The UK manufacturing production data will bring some volatility to GBPUSD. 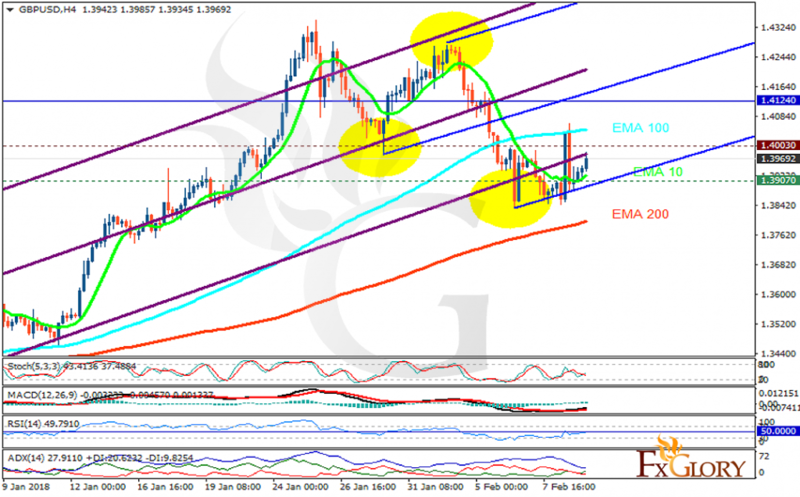 The support rests at 1.39070 with resistance at 1.40030 which both lines are below the weekly pivot point at 1.41240. The EMA of 10 is moving with bullish bias in the ascendant channel and it is above the EMA of 200 and below the EMA of 100. The RSI is moving on the 50 level, the Stochastic is showing upwards momentum and MACD line is above the signal line in the positive territory. The ADX is showing buy signal. GBPUSD will grow within Andrews’ Pitchfork targeting 1.43.